Only Baltimore bad boy John Waters would create a sculpture that envisions a babyhood encounter between the pop star Michael Jackson and the serial killer Charles Manson. 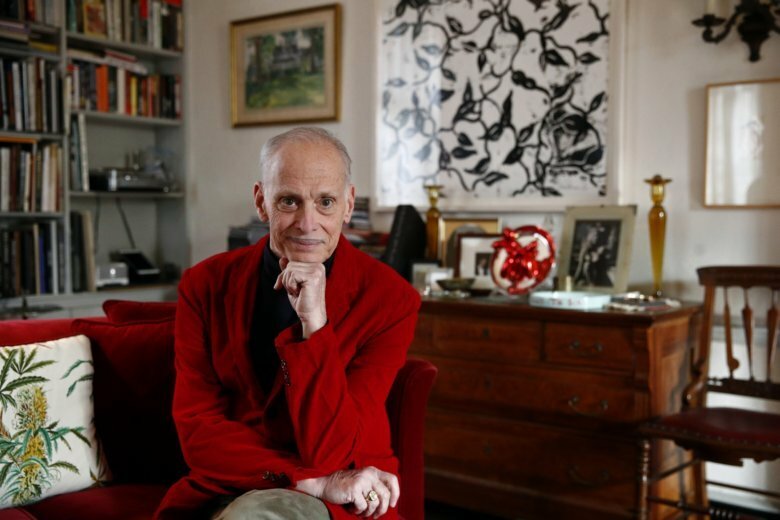 BALTIMORE (AP) — Only Baltimore bad boy John Waters would create a sculpture that envisions a babyhood encounter between the pop star Michael Jackson and the serial killer Charles Manson. In “Playdate,” the late singer, attired in a powder-puff pink romper beneath his surgically altered adult face, crawls on his hands and knees toward the bearded cult leader. Roughly 10 months’ worth of 3-inch by 5-inch index cards contain Waters’ hand-written daily “to do” lists in his tiny, cramped script; the exhausting result is 3½ feet tall and more than 9 feet long. I challenge you to decipher more than one or two of these self-imposed tasks, and not merely because the filmmaker scribbles out each chore in a cloud of black ink once he completes it. The curator began working on the exhibit show four years ago after realizing that inexplicably, no retrospective of Waters’ visual art had been held in his hometown. (The BMA held a comprehensive — and controversial — three-day festival of Waters’ films in 1985.) After leaving Baltimore in January, “Indecent Exposure” will travel to Ohio’s Wexner Center for the Arts. That has not always been the case. A 1973 review of “Pink Flamingos” in Variety referred to the film, in which Divine appears to eat a dog turd as “one of the most vile, stupid and repulsive films ever made.” It was an editorial writer for The Baltimore Sun who famously nicknamed the director “The Prince of Puke” — a nickname he promptly embraced.